There are a lot of businesses who already have their websites and are contemplating whether they need to update them or not. Some businesses may have their websites developed more than 5 years ago while some with-in the last 2 years. Then there are also the businesses who have still to venture into the world of the Internet where everything is connected. Either way a lot has changed since you last read an article about the new Internet and how effective it is. It has changed for the better with more number of people now staying connected via the Internet and more number of people performing their research as well as shopping online. Hence it would be a good idea to take a quick look at the current state of affairs of the Internet and try to figure out what is in and what is out. Besides which what is new how that affects your business interest. 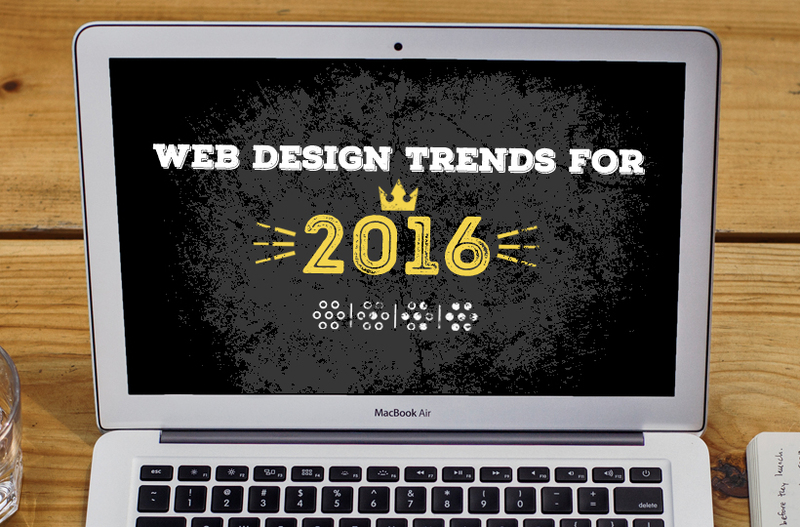 There are several designing techniques that are being currently used and will continue to feature in websites in 2016. In addition to which there are also several new design techniques that are expected to become big next year (2016). UI Patterns: The recent technologies and open source software being used has resulted in a lot of websites looking the same. As per the studies conducted this is mainly due to the responsive design and open source software like WordPress. Greeting page with big image with a strong message. The flat design – the evolving version: The flat design continues to make its mark when it comes to the website design. There was a time when gradients where very popular, however that is in the past and now flat design techniques are receiving more attention. The fact that the new iOS7 and iOS8 as well as Android 5 promoted flat design via their OS designs also has a little to do with why flat design techniques are finding a way into the designer’s bag of tricks and evolving in nature. In fact, the material design technique from Google has also influenced more and innovative techniques of flat design. Micro versions: There is a trend where design techniques involve developing an app within an app. The concept here is to have a general interface with several interaction opportunities and navigation options. However, each section like the registration section, or product tour or product information will be an individual section of its own. What this means is when you select the respective section you are transported into a different world, which is the UI for that specific action or functionality. This can be considered as making each module individually which results in more optimised web development too. What this means is that user has a unique experience. At the same time, it increases modularity and code reuse. This also encourages the web developers to implement better object oriented techniques. Alakmalak have been helping businesses and other organizations establish their online presence since long time now. It was quite an achievement for them to develop over 2000 websites as a Web Development firm.